Acacia amentacea (“black-brush acacia”) [Note 17], Castela texana (“amargoso”), Celtis pallida (“granjeno”), Karwinskia humboltiana (“coyotillo”), Leucophyllum frutescens (“cenizo”), Porlieria (Guaiacum) angustifolia (“guayacan”), Prosopis juliflora (“scrub mesquite”), Larrea tridentata (“gobernadora” or “creosote bush”) and Condalia obovata (“brazil”). 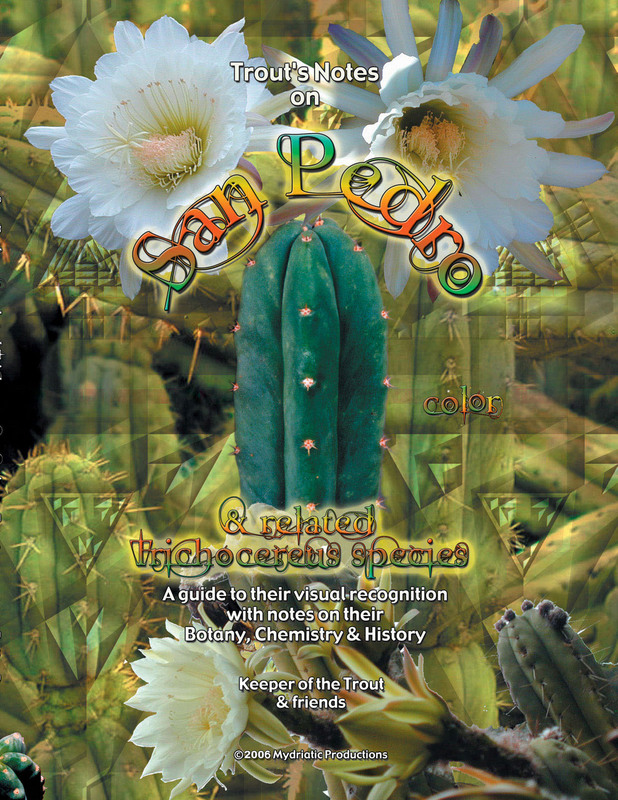 In south Texas, Peyote grows in association with Yucca, Opuntia spp., Opuntia leptocaulis (“tasajillo”) and Echinocereus spp. 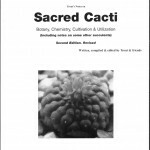 (“pitaya”). 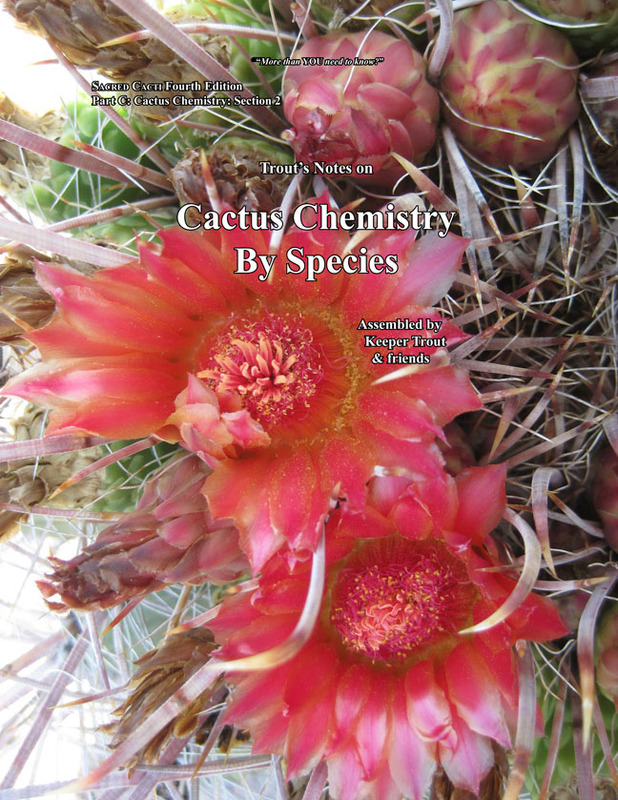 In Starr county, both Echinocereus pentalophus (“lady’s fingers”) and the charming endemic dwarf, Coryphantha robertii, are not infrequently associated with it in those areas near Rio Grande City where C. robertii is distributed. 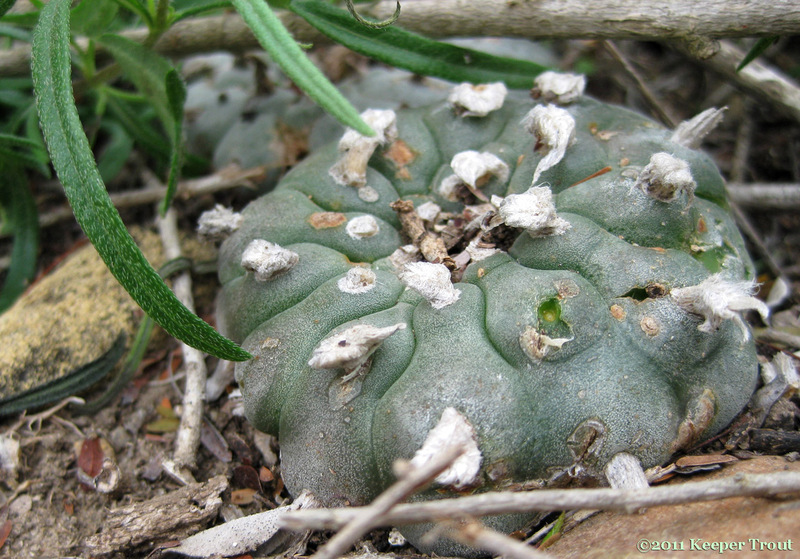 Peyote’s highest populations in Texas, now, is in those areas referred to by many people as “impenetrable thorny scrub”. 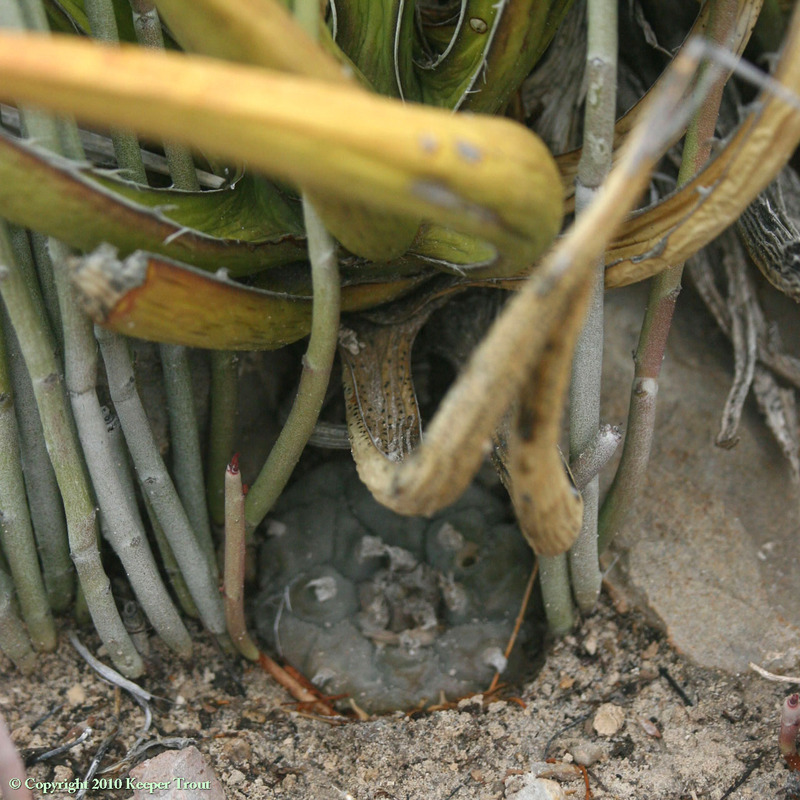 In the Chihuahuan Desert it occurs in both the subdivision classified by desert scrub such as Larrea tridentata, Prosopis laevigata and Flourensia cernua, and also in the subdivision characterized by desert scrub incorporating many plants such as Agave lechuguilla and Yucca spp. Due primarily to the opportunity presenting itself, it was decided to attempt the photodocumention of as much of the associated flora as opportunity permitted. Seven sites containing Lophophora williamsii populations have been explored with this goal in mind during the course of other field work occurring in 2009-2014. 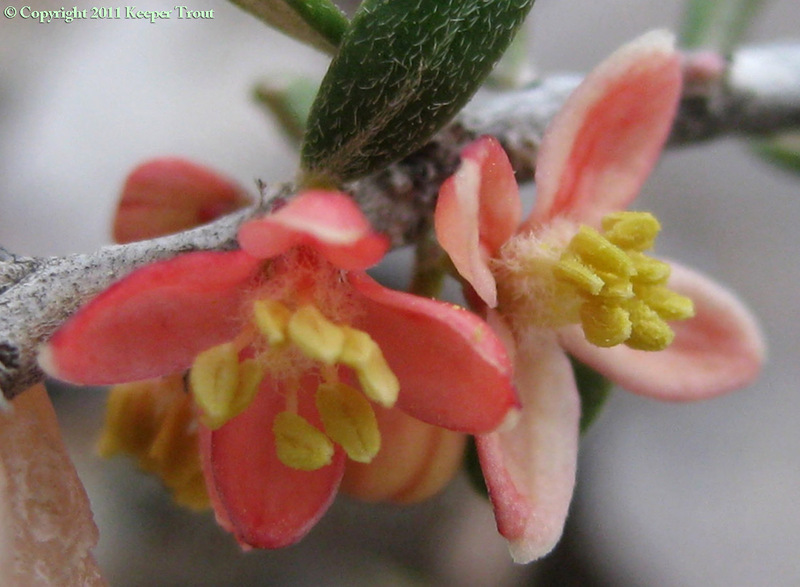 Three of those populations were in Tamaulipan thornscrub (two in Starr County and one in Jim Hogg County) and four locales were in the Chihuahuan Desert (one each in Brewster, Presidio, Terrell & Val Verde). 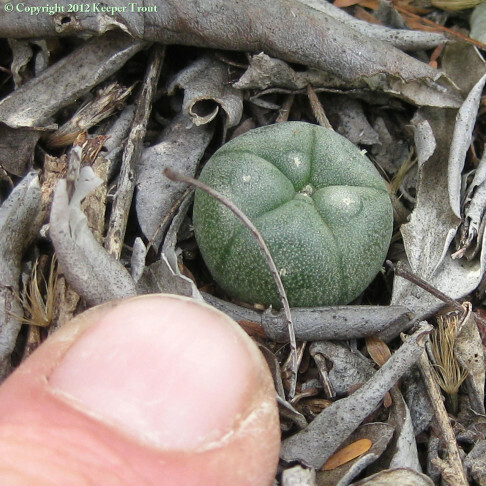 In six cases I was able to photograph the existing Lophophora population and the accompanying vegetation, and in the other I was only able to focus on acquiring imagery of Astrophytum asterias and companions, as time did not permit the inclusion of the nearby Lophophora williamsii population. Some additional photographs showing close-up details of plants were obtained on properties in Maverick, Starr and Hildalgo Counties were peyote was not found. Those form the basis of the preliminary survey that this listing & photo collection represents. 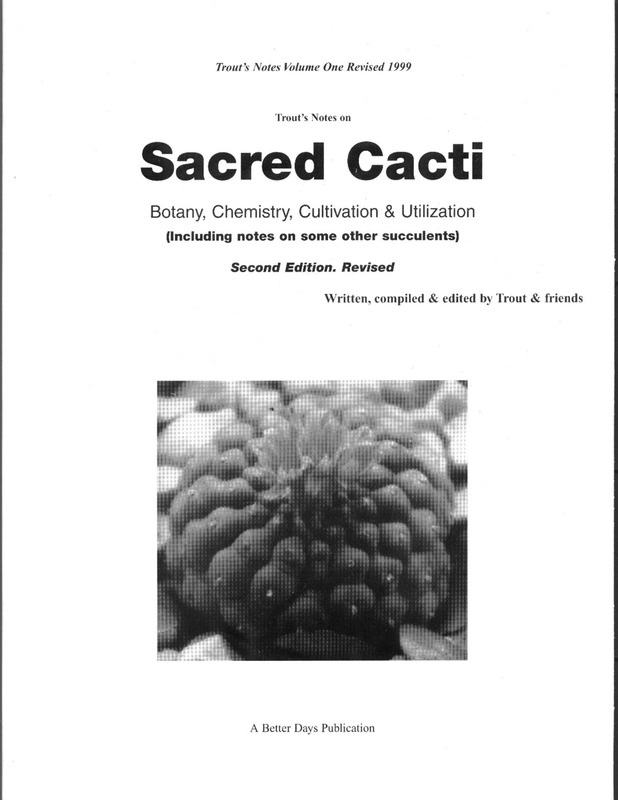 The basis of the listing at the Cactus Conservation website is simple, if we could find an instance of a plant growing with or near peyote that note was added to the list. If the observed relationship was one of being a nurse plant that was noted. 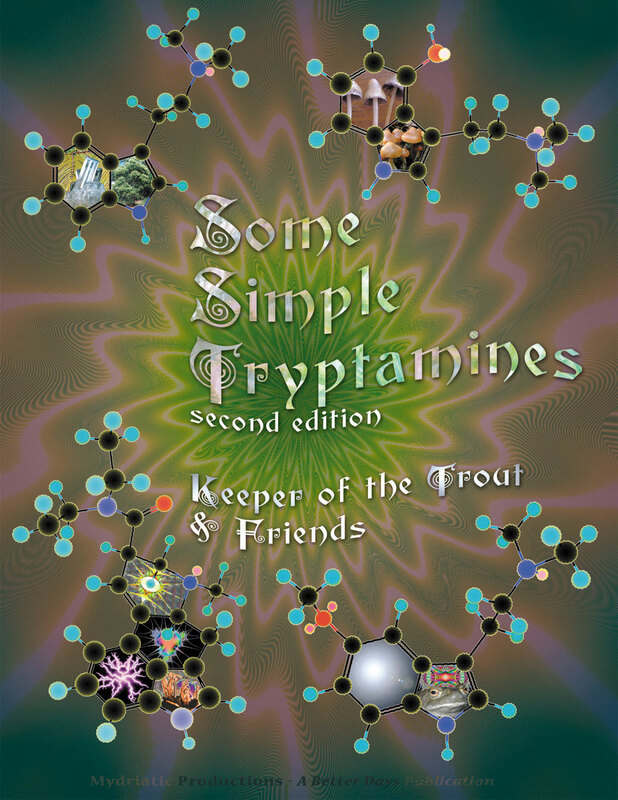 In only a very few cases is a plant listed as associated based on someone else’s reported observation. 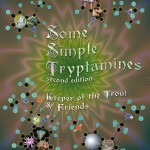 A simple listing of those species and a representative sampling of images is included here. 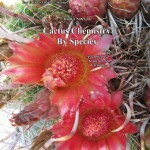 For far more images visit the CactusConservation.com website. This should be regarded as an in-progress work presently limited to a very small sampling of Texas populations. 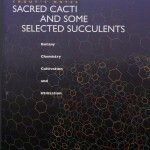 At all seven of those sites just mentioned there were at least one Acacia species, at least one Condalia species, some nature of at least one crust community, an Echinocactus species, at least one Echinocereus species, Jatropha dioica, Koeberlinia spinosa, at least one Leucophyllum species, assorted lichens, a Mammillaria species, at least one Opuntia species, Opuntia leptocaulis and at least one Yucca species. 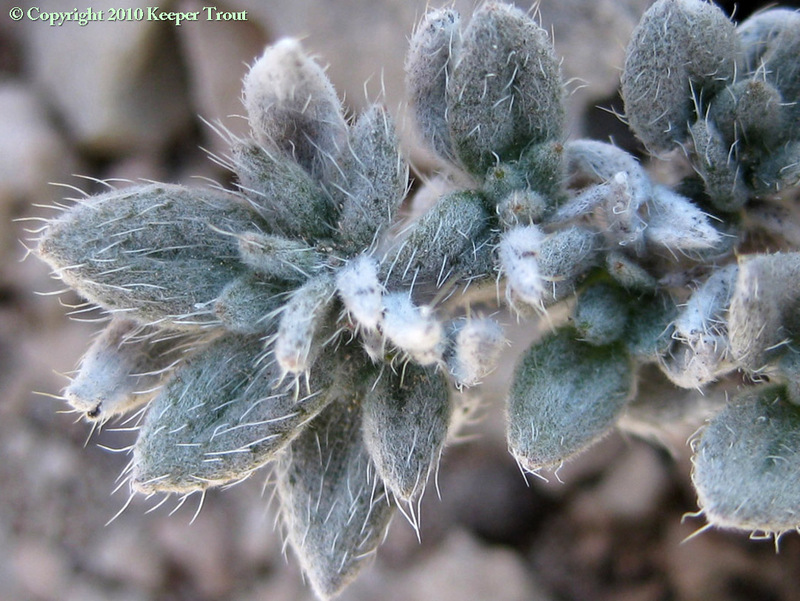 Castela texana, at least one Coryphantha sp, an Ephedra, Porlieria, a Prosopis, Schaeferia, a Tiquilia, a Thymophylla and a Viguiera were observed at all but one site each and may have been overlooked at those exceptions. Agave lechuguilla, Euphorbia antisyphilitica, and Larrea tridentata were present at all four West Texas sites. 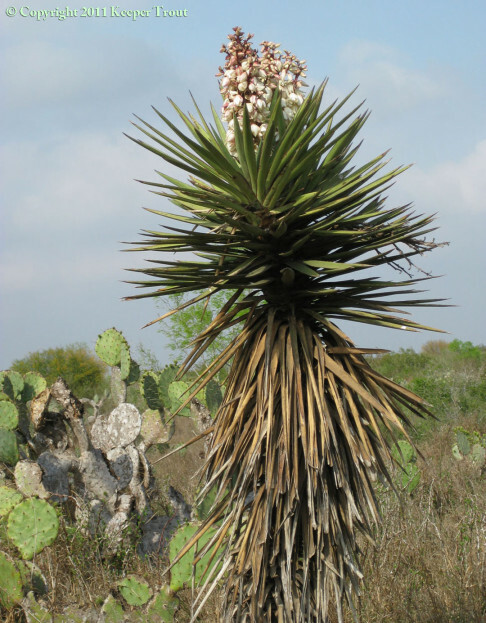 As should be expected, Agave lechuguilla, Euphorbia antisyphilitica, and Larrea tridentata were absent from all South Texas sites. 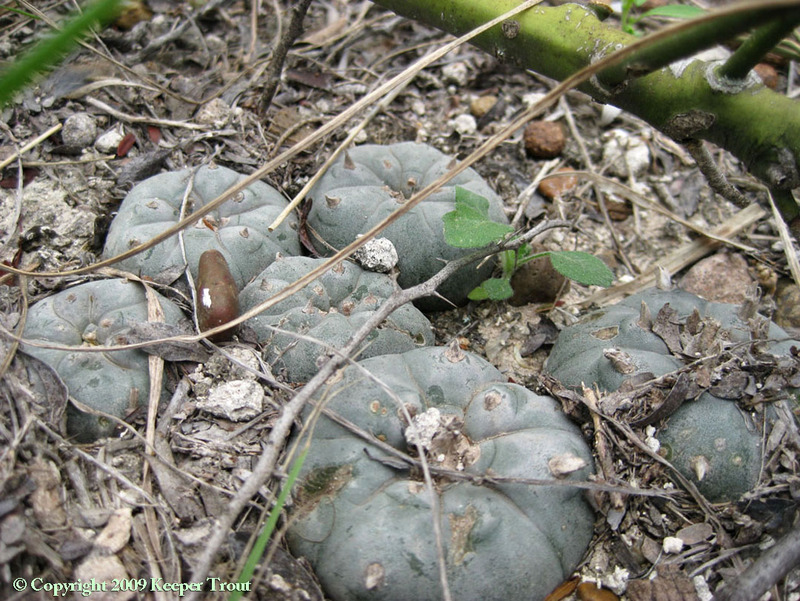 Karwinskia humboldtiana was present at all South Texas sites that included Lophophora as well all of the additional properties we visited in South Texas that lacked any Lophophora. Many other plants are also potential nurse plants and I may easily have missed spotting or capturing an image. 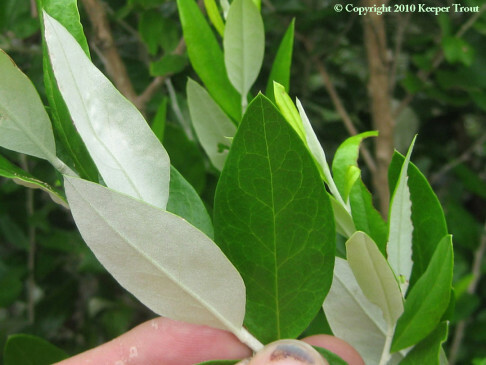 Numerous plants were encountered that have not yet been identified. 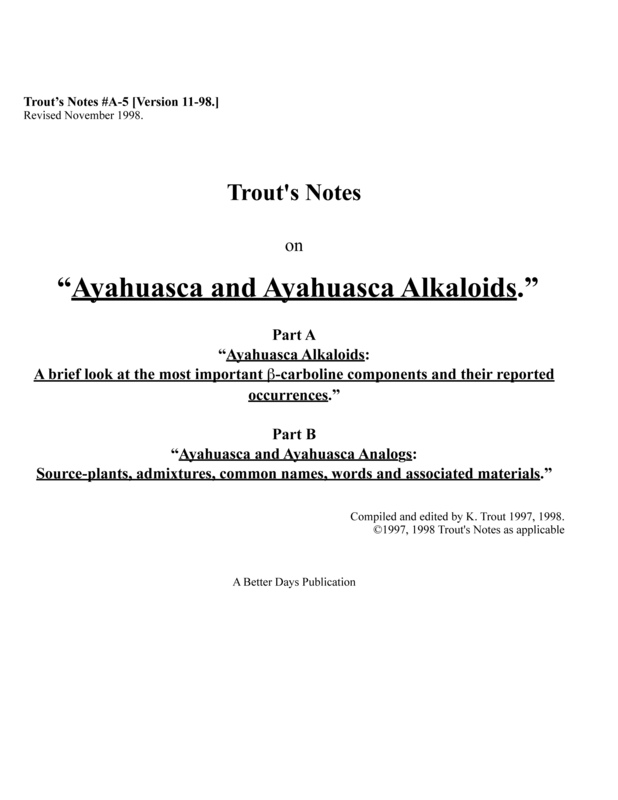 Many additional species were anticipated that have thusfar been elusive; and no doubt many instances of companion plants are yet to be recorded. Ariocarpus fissuratus commonly near Lophophora but usually not together. 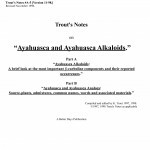 Mexico: A similar project is needed for the populations in Mexico. 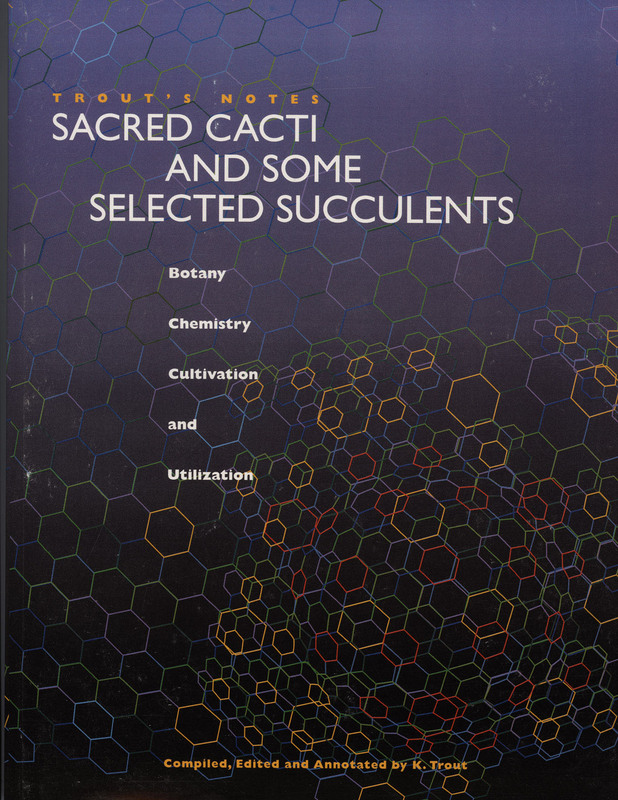 Due to the wide range of Lophophora in Mexico that will be a tremendous undertaking. Lophophora williamsii seedling emergent from under the cover of Leucophyllum, Gochnatia & Acacia leaf litter in Jim Hogg County.